Combining a French elegance with luxury Italian style, the Paris Sofa by Rugiano Interiors is hand-crafted by skilled artisans in the heart of Milan. Featuring a curved backrest and sumptuous cushions, the sofa’s frame and legs are adorned with polished bronze edging. The bronze works beautifully with the leather and fabric upholstery bringing out the soft materials and exquisite quality. 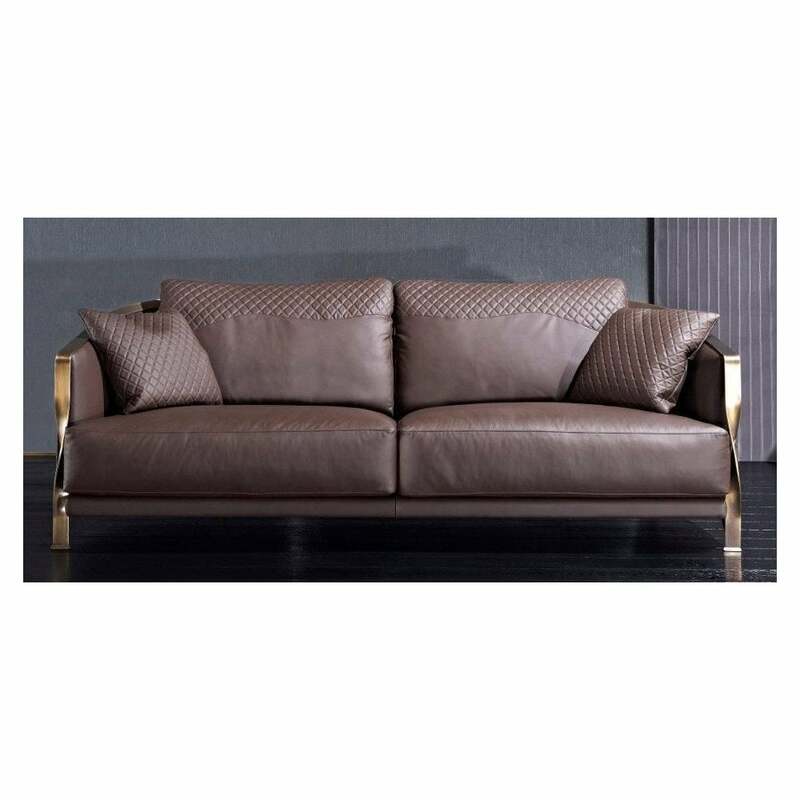 The sofas exterior can be finished with Rugiano’s signature quilted leather and precise stitching for a glamorous touch that exudes Italian sophistication. Pair with the Papillon cushions and a faux fur throw to complete the look. Samples can be ordered upon request. Available in three versatile sizes, make an enquiry for more information.